Worried over the continuing deaths of lions in the Gir sanctuary, the Supreme Court has asked the centre about its plan of action and said, "What are you doing on the issue of lions? It is very serious." 23 lions have died at the Gir forest in the last three weeks. 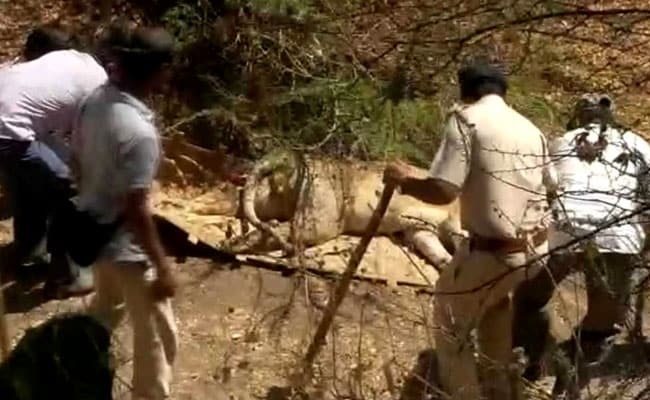 Twenty three lions have died in Gujarat's Gir forest in the last three weeks. A deadly combination of virus and protozoal infection killed at least 11 of them, the state government said today. The condition of three of over 36 lions currently under observation of Forest department is critical, officials said. "Today, we are faced with a peculiar problem. Lions are dying. There seems to be some kind of virus. We do not know. It is coming in newspapers. You find it out," a bench headed by Justice Madan B Lokur told Additional Solicitor General (ASG) ANS Nadkarni, who was appearing for the centre. "If there is any kind of virus infection, all lions will be wiped out from the area," advocate Ritwick Dutta told the bench, which was hearing a matter related to the re-introduction of cheetahs in India from Namibia in Africa. Mr Dutta said the manner in which the lions have died, there was a fear of the epidemic spreading to other animals. But the forest department has been saying that injuries caused by infighting are behind the deaths of Asiatic lions. Meanwhile, state Forest and Environment Minister Ganpat Vasava told reporters that Canine Distemper Virus (CDV) was found in the samples of four of the eleven dead lions by Pune-based National Institute of Virology, and protozoa in the rest. Canine distemper affects a wide variety of animal species, including dogs, coyotes, foxes, pandas and wolves. It attacks the respiratory, gastrointestinal and nervous systems of animals. In the past, CDV had wiped out 30 per cent of total population of lions in Serengeti forest areas in East Africa. Additional Chief Secretary, state forest department, Rajiv Kumar Gupta said CDV didn't cause deaths but it affects immunity of infected lions. "Lions with CDV can be infected by protozoa infection which is spread by ticks. The presence of both of these causes death. We have found CDV in four and protozoa in seven out of eleven dead lions," Mr Gupta said. He said the government has taken a serious note of the presence of CDV though its spread is restricted to four lions so far. Mr Gupta said forest officials will collect random samples of blood and swabs of lions from other ranges of the Gir forest, as a measure to ascertain their health status. About 300 shots of vaccine have been imported from the US to protect the lions, they said. "In the next seven days, we will vaccinate all the cattle present in surrounding areas of the Gir forest," he said. "We have also sought national and international help to contain the issue. We are also seeking the help of experts of Royal Veterinary Society of London," he said. The Forest department had launched a screening operation in Dalkhaniya range of Gir sanctuary to identify sick lions following the death of 11 lions between September 12 and 19. A total of 12 sick lions, which were caught and shifted to a rescue centre, have died in the last three weeks, taking the toll to 23.